Fans for process engineering: made of corrosion-resistant steel, armored or rubberized, ATEX proof. 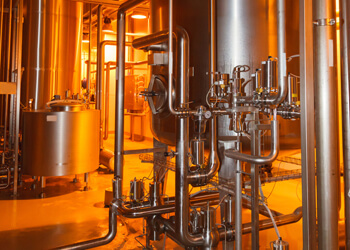 Corrosion and harsh environmental conditions are a frequent problem in chemical, mechanical and biological process engineering, and it is essential here to have reliable air technology components. These processes often generate gas mixtures that have to be conveyed, extracted or filtered. The mixtures often have corrosive constituents such as acids (sulphuric acid, …), alkalis (caustic soda, …), ionogenic gases (hydrogen sulphide) or salts dissolved in water (nitrites, …) which put stress on the components of technical facilities. LTG fans are able to meet these challenges. They are available in versions for special applications and have features such as highly corrosion-resistant steel and impeller blades with armour or rubber lining. You can therefore be sure of having a reliable and robust product with a long service life: perfected for your application. Moreover, we offer all three flow configurations from a single source: axial, centrifugal and tangential. And if necessary, our fans can be provided in explosion-protected versions according to ATEX. The LTG product range gives you a wide selection of LTG fans. We'll be glad to find you a design that is suited to your application. Our highly efficient LTG axial fans are perfect for large volumetric air flows. If you need a high pressure buildup, our high-quality LTG centrifugal fans are the best solution. LTG tangential fans distribute air evenly over their entire width, providing a targeted and high-quality air flow. We have a wide range of references in process engineering, including production facilities for insoluble sulphur, viscose factories (which use caustic soda) and biogas plants (which we equip with special ATEX centrifugal fans).